Diana Vickers (Janet) , Ben Freeman (Brad) and former S Club 7 member Paul Cattermole (Eddie/DrScott ) and Kristian Lavercombe as Riff Raff are to lead the cast of the new tour of the Rocky Horror Show which begins in Brighton in December and has just added more dates which go on sale today. It will mark Cattermole's professional theatre debut having shot to fame in the pop band S Club 7 in the 90's. Diana Vickers found fame on The X Factor before appearing in West End theatre with credits including The Rise and Fall of Little Voice and The Duck House. Freeman is best known for playing Scott Windsor in Emmerdale with theatre credits including Fiyero in Wicked and the Fonz last year's tour of Happy Days. 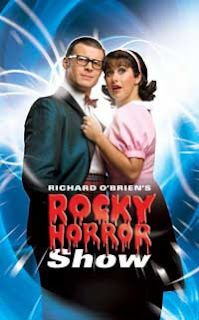 Richard O'Brien's cult classic musical tells the story of two very clean cut American kids (Brad Majors and his fiancée Janet Weiss) who blow a tyre and go to get help at a house in the distance where they can see a light on. But it’s the home of Frankenstein, where Dr Frank'n'Furter is in the middle of one of his scary experiments. More dates and casting news to follow.